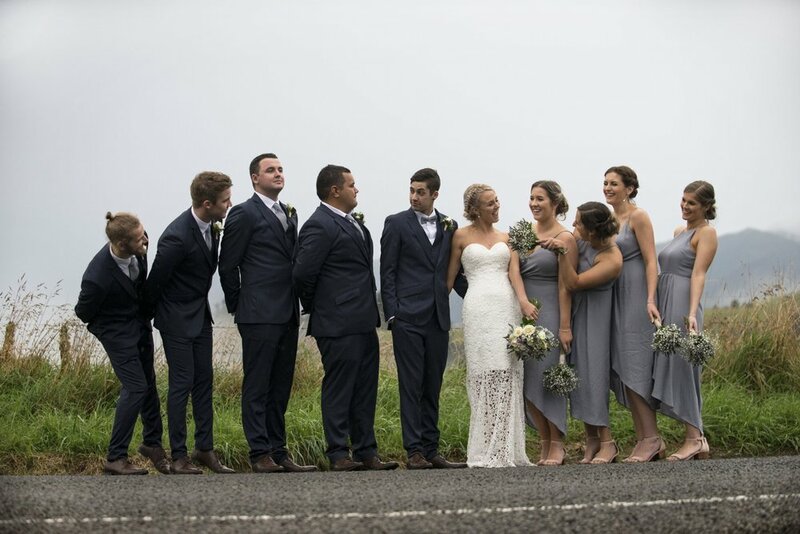 Celebrate your wedding day surrounded by native bush, singing birds and pristine views at one of Manawatu's most beautiful country wedding venues, just one hour's scenic drive from Palmerston North. We offer a complete Wedding Venue with everything you need in one location: indoor/outdoor ceremony area, reception for up to 110 guests, accommodation, delicious food, activities if you wish and a wide range of beverages. The team at Makoura Lodge will strive to give you outstanding, country hospitality and help to create the best day of your life. Please read below for a brief overview or download our wedding brochure for full information and pricing. Exchange vows in our native gardens, specifically designed as a ceremony area, or embrace the indoor rustic charm of Makoura Lodge. The indoor option provides a reassuring 'plan B' if bad weather prevails. Our reception facilities can cater up to 110 seated guests in our lodge. We offer an extensive range of buffet menu options, with fresh produce sourced from our vegetable garden. We have a variety of beverages available at our character bar. We also allow 2 bottles of BYO per 10 guests at a corkage rate of $12 per bottle. A minimum number of 60 adult guests apply in our peak season. Enjoy small, intimate weddings in our winter months. When you book a wedding at Makoura Lodge, we offer exclusive use of our venue and accommodation for your Wedding day & night. The following day, enjoy coming back to the lodge for a country, cooked breakfast with your wedding guests. We offer exclusive use of our: Lodge Accommodation, Glenluce Homestead, Burnside cottage, Glamping tent and our Riverside Honeymoon suite for your wedding, which can sleep a total of 62 guests. Your bridal party and family may like to stay the night before your wedding to enjoy spending more quality time together and enjoy getting prepared for your wedding onsite. Minimum staying guest numbers do apply (see terms and conditions). From the beginning of June to the end of August take 25% off your venue hire and service fee! During the winter months we do not have minimum guest numbers so you can enjoy an intimate, boutique type wedding. With vendors, friends and family generally more available in the winter, winter weddings are known to be easier to plan! Don't worry if it raining; you have the option of getting married in front of our beautiful open fire and you can have photos inside our old fashioned woolshed. Snow on the Ruahine Range provides a stunning photographic backdrop. Click to enlarge our wedding gallery photos. Please ensure you have read our wedding brochure (see button above) for pricing and package inclusions prior to your wedding consultation with us. Thank you.